Drivers shopping for a new BMW 4 Series in Chicago, you have something exciting ahead of you. Perillo BMW stocks the full range of BMW 4 Series models, giving drivers from Chicago to Winnetka plenty of options to discover true luxury. BMW is strongly associated with luxury sport coupes and convertibles, and the automaker practically invented the modern idea of these cars with the 3 Series. Drivers looking for a bit more in the way of performance, strength, and refinement, however, can step it up to the BMW 4 Series. Available features like keyless entry and ignition, a 16-speaker Harman Kardon stereo system, wireless charging pad, and more help to elevate this luxury car above its many competitors. Of course, the best way to see these advancements is to get behind the wheel and experience it for yourself. 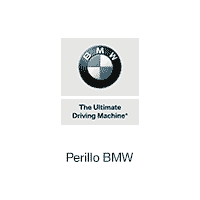 Schedule your test drive today at Perillo BMW.